Most businesses carefully plan their start-up strategies, including funding, management, ownership structure and marketing; but they do not always think about future ownership changes, which may seem remote. After the business is up and running, there is often little time to think about the “what ifs”. Such as, what if an owner wants to sell his or her interest, or dies, or becomes disabled, or divorced, or is no longer contributing a fair share of the work or financial contributions as promised? What if there are no restrictions on transfers of ownership and an owner transfers his shares to a third party, or dies and leaves his interest to multiple heirs who know nothing about the business? If these events have not been considered and addressed by the owners in advance, then a carefully thought out business plan, or a thriving established business, may quickly become the victim of unwanted new business partners, infighting, power struggles, financial strains and litigation. All of which can threaten the health and future of your business. Plans for transfer of ownership are often referred to as “buy-sell” agreements. Whether a business is a corporation, a limited liability company or a partnership, if there is more than one owner, or just one owner but key employees who want rights to ownership in certain events, such agreements are critical. Owners should consider what restrictions they want to place on voluntary and involuntary transfers, as well as what events they feel should cause either optional or mandatory transfers. Some events that could trigger a transfer might include the death or disability of an owner, bankruptcy or divorce of an owner, or an owner ceasing to work for the business or acting in a manner that damages the reputation of the business. If the business involves owners in occupations or professions that require licenses, this planning may include transfers that must occur if an owner loses the necessary license. The types of events that need to be addressed will vary by business type and ownership structure. If any of the owners of a business are themselves separate entities such as corporations or limited liability companies rather than individuals, another layer of considerations arises. Should changes in an entity owner cause it to have to offer to sell its interest in the primary business? If majority ownership of such an entity changes, then the other owners of the principal business often want at least an option to buy out such entity, so they are not left dealing with a co-owner that is controlled by new people with whom they may not desire to be in business. After deciding what events should lead to transfers, the parties must decide who can or must buy, how the price will be determined, the terms of payment, and how the purchase will be funded. Those who can or must buy, for example, could be all or just certain of the other owners, or the company itself, or employees. How the interest will be allocated among the buyers can also be addressed. Methods of setting price are as varied as the types of businesses. A few alternatives are appraisal, calculation by formula, or stipulated prices adjusted at various intervals. If a transfer is due to death or disability, insurance can be acquired to fund the purchase. Installment payments are often agreed to in the documents, with varying terms depending upon the amount of the purchase price. When considering these transfers, parties also need to do succession planning. This involves not only addressing the situations above, but also thinking about a planned transition of ownership and management of the business into the future rather than just how to react to unexpected events. Who will take over when the current owners retire or die? Can management responsibilities be transitioned in advance? Will it involve family members or key employees or both? Planning can give peace of mind not only to the current owners, but to lenders, customers, employees and vendors, and is often required when the business has large credit lines or a major franchise or dealership in particular products. 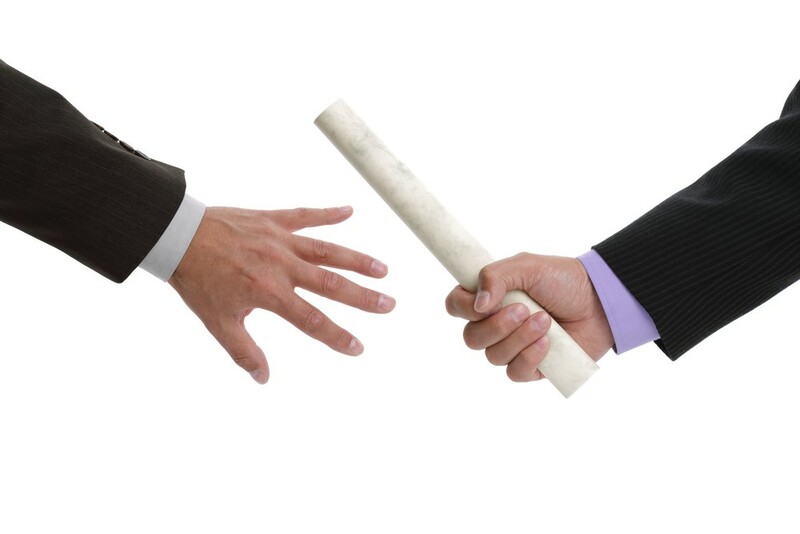 These succession considerations are important in all types of closely-held businesses, whether family-owned, or owned by nonrelated business partners or investors. If your business is a corporation, buy-sell and succession provisions are usually addressed in an agreement among the shareholders. With limited liability companies, they are most often incorporated into the Operating Agreement, but can also be dealt with in a separate Members’ Agreement. With a partnership, the issues are addressed in the Partnership Agreement. These agreements can be made when the business is first organized, or at any time by amendments to existing agreements, or by entering into new agreements. Although these issues can be complex, and may be uncomfortable to address with business partners and family members, having the agreements in place in advance makes smooth transitions well worth the effort. This is only a brief summary of the subject matter, and, if this is something you feel your business should address, we would be glad to discuss the issues with you further. The costs involved in a disputed transfer where there were no agreements in place, normally far outweigh the costs of advance planning.